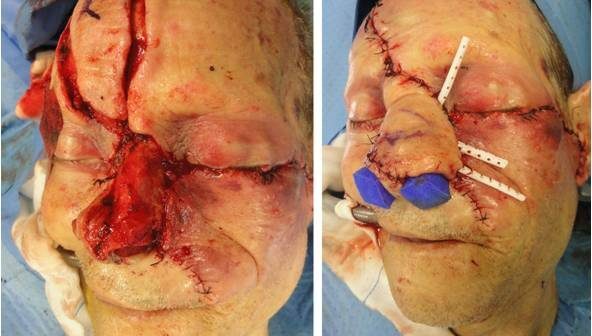 The use of perforator flaps in face reconstruction is becoming increasingly common. They are particularly useful in nose reconstruction, where they can be tailored to match the complex three-dimensional structure of the nasal concave and convex subunits. In this paper, we present a review of the literature on the use of pedicled perforator flaps in nose reconstruction, discussing current indications and outcomes. Literature on this topic is still limited, with only 12 studies reporting data on 129 recon-structions. 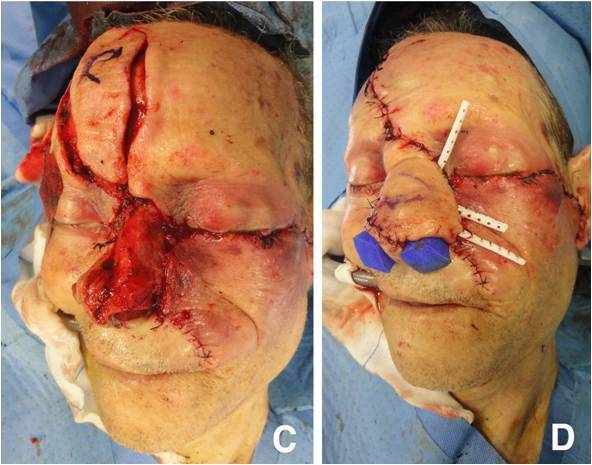 Reconstruction of nasal defects with pedicled perforator flaps is a novel and expanding field. It allows for the achievement of good aesthetic results, with a single op-eration and low donor site morbidity. Temporary venous congestion frequently occurs, but resolves spontaneously without leaving sequelae. Also, perforator flaps have precipi-tated a novel approach to nose reconstruction, allowing for the modification of both ran-dom and axial flaps according to a “perforator-like technique”.